The sumptuous Umaid Bhawan Palace in Jodhpur, managed by Taj Hotels & Resorts, has been voted the ‘Best Hotel in the World’ in the TripAdvisor Travellers’ Awards 2016. This is the first time an Indian hotel has acheived this accolade. You can upgrade to the Umaid Bhawan Palace on World Discovery’s ‘India of the Maharajas’ tour – 15 days from £1185 per person – or stay there as an extension to several of our other northern India itineraries. I’m frequently asked the question “What is the best hotel you’ve ever stayed in?” It’s an almost impossible one to answer, as each hotel is dependent as much as location, size and style as much as the quality of service, food and accommodation. Today I’ve been thinking about my years of travelling in India, and here’s my personal top 5 of the hotels I’ve enjoyed in this amazing country. 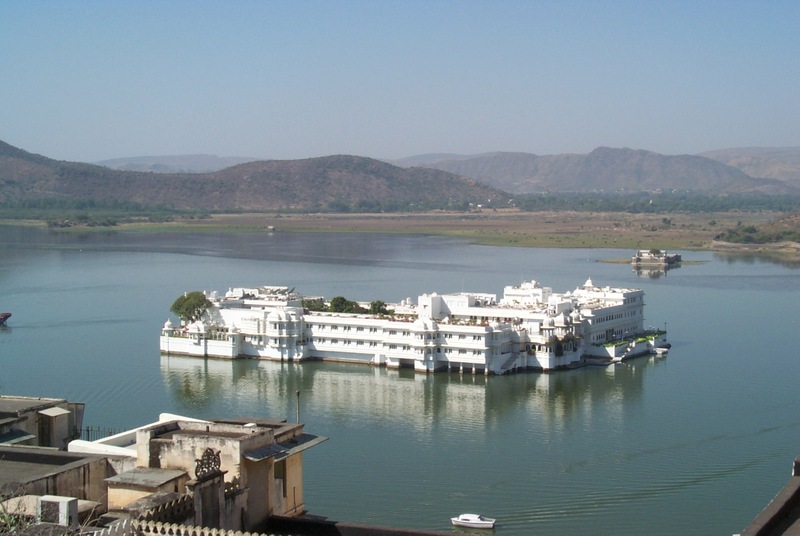 The Taj Lake Palace is located in the middle of Lake Pichola and is without doubt one of the world’s most romantic hotels. 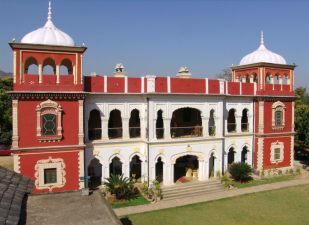 Built in 1746 by Maharana Jagat Singh II, this unique palace spreads across a four-acre island – an almost surreal vision in marble. The hotel’s 200 rooms and suites are all different in layout and design. This is a stunning hotel, managed by the prestigious Taj Hotels Group, with fantastic food and service, and is totally unique in style and atmosphere. It’s a magical experience to approach the hotel on its own private island by the small boat from the city. This a hotel with a dreamlike quality that you won’t find anywhere else in the world. The Oberoi Amarvilas is located just 600 metres from the world-famous Taj Mahal, and all guest rooms and suites, as well as the lobby, bar and lounge, offer breathtaking views of the monument. Built in a style inspired by Moorish and Mughal architecture, the resort is a splendid display of terraced lawns, fountains, reflection pools and pavilions. No other hotel in Agra comes near to the Amarvilas in either quality or proximity to the Taj; it’s in a league of its own. Naturally it comes with a hefty price tag, but I would say it’s worth it. An unforgettable experience. My favourite mountain retreat in India – “a little corner of heaven” as one guest described it. 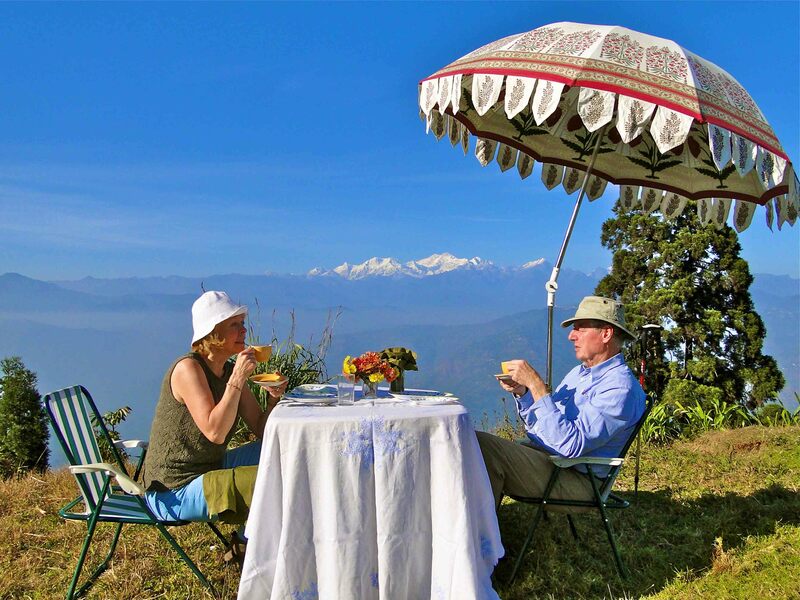 Consisting of just 8 rooms (all completely different), housed in two separate bungalows, Glenburn is a place to get away from it all, either to simply relax and take in the breathtaking scenery of the Kanchenjunga Mountain Range, or hike through the forest, raft on the river, or enjoy the superb birdwatching. Started by a Scottish tea company in 1860, Glenburn is now in the hands of the third and fourth generations of the Prakash family, who over the years have come to be known as the “Chaiwala family” – which literally means “tea planters”. You’ll also learn about the fascinating process of tea making during your stay. From bush to factory – and into your tea cup at a tasting session – discover what goes into making a fine Darjeeling tea. 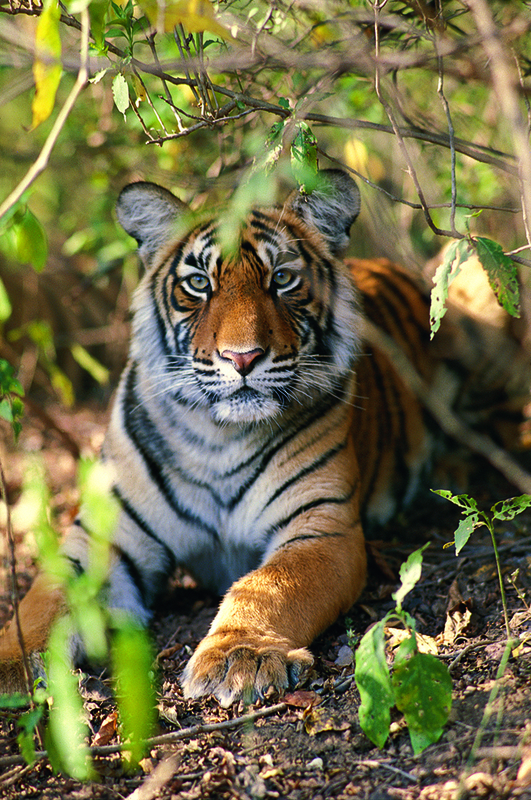 Searching for the Bengal Tiger is one of the things you must do when visiting India. Until fairly recently the accommodation in the game parks was pretty poor, but the collaboration between Taj Hotels and the African wildlife specialists &Beyond has produced a string of top class game lodges that have set new standards fir wildlife viewing in India. My personal favourite is Mahua Kothi in Bandhavgarh. Each of the 12 charming guest suites – or kutiyas (jungle village huts) – is built in the vernacular style of Central India, and is accessed through private courtyards with shaded seating and traditional mud floors. Each ensuite bathroom features twin hand basins, indoor shower, bath and separate w.c. It also helps that the Mahua Kothi guides are amongst the best in India so you are guaranteed a fantastic safari experience. After the long flight from London, there’s nothing better than being whisked from Delhi Airport to the wonderful Imperial right in the heart of the city. One of the best hotels in Asia, the award-winning Imperial Hotel is World Discovery’s top choice of accommodation in Delhi. Built in 1931, this landmark hotel is located on the famous Janpath (Queensway during the days of the British Raj), just steps away from Connaught Circus and the capital’s best shopping. The Imperial has 235 guestrooms including 43 suites. There are many dining options, including the 1911 Restaurant for all-day dining, the Spice Route for Southeast Asian cuisine (one of “top restaurants in the world” according to Conde Nast readers), Daniell’s Tavern for Indian food, the Nostalgia Brasserie (dinner only, with jazz or piano music), and the San Gimigniano for Italian dishes. For drinks and cocktails, head for the 1911 Bar or the Patiala Peg. I’ve left out some superb hotels in South India, especially Kerala, but I’ll cover these in a separate post. 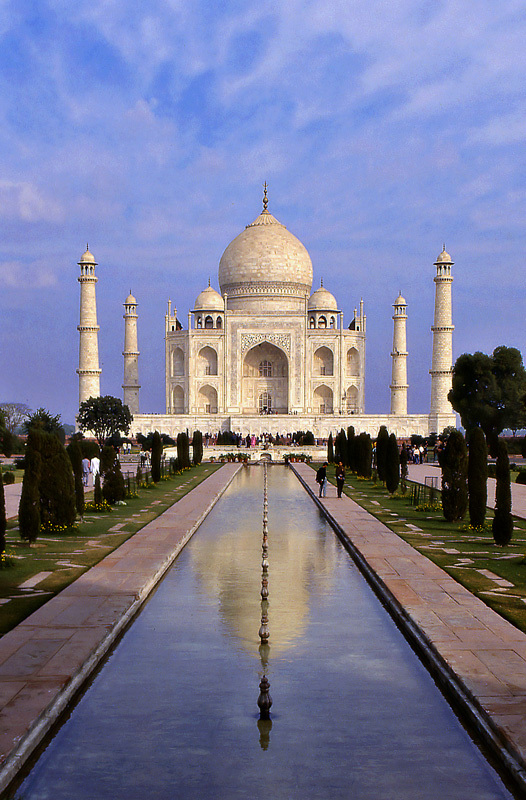 India has confirmed that its e-Tourist visa facility is being extended to the UK from August 15. It has announced 36 new countries, including the UK, have joined the scheme, taking the total number of countries using it to 113. At the same time, seven more Indian airports have been added as designated airports for entry on e-Tourist visas. These are Ahmedabad, Amritsar, Gaya, Jaipur, Lucknow, Tirchy and Varanasi. Since the Government of India launched the e-Tourist visa in November 2014, more than 200,000 have been issued. It said it hopes the scheme will boost the country’s tourism industry. The Foreign and Commonwealth Office has said that security has been increased at airports, railway stations, inter-state bus terminals and metro stations in the lead up to India’s Independence Day on August 15. It advised that tourists should allow more time than usual to complete formalities at airports.